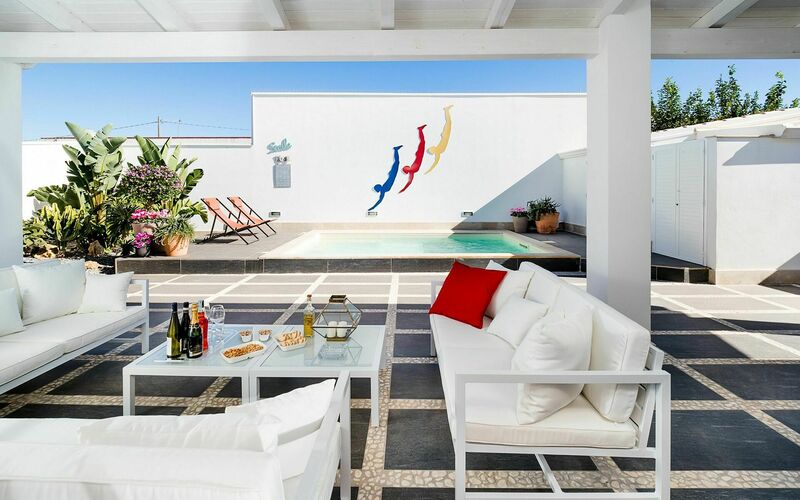 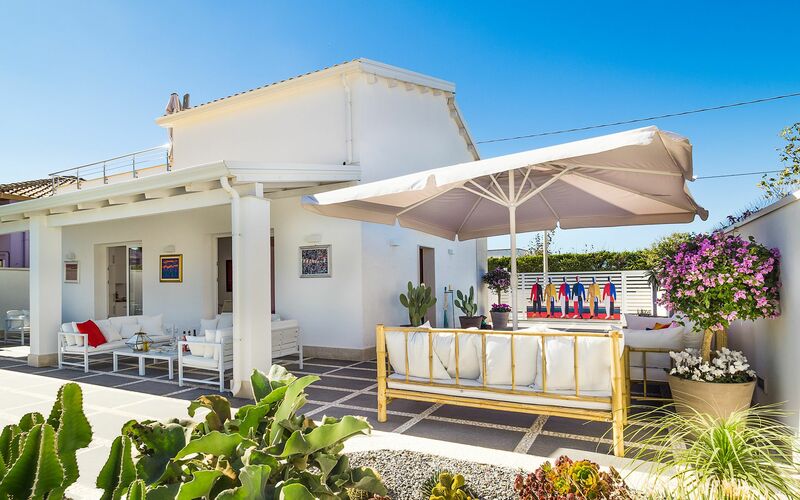 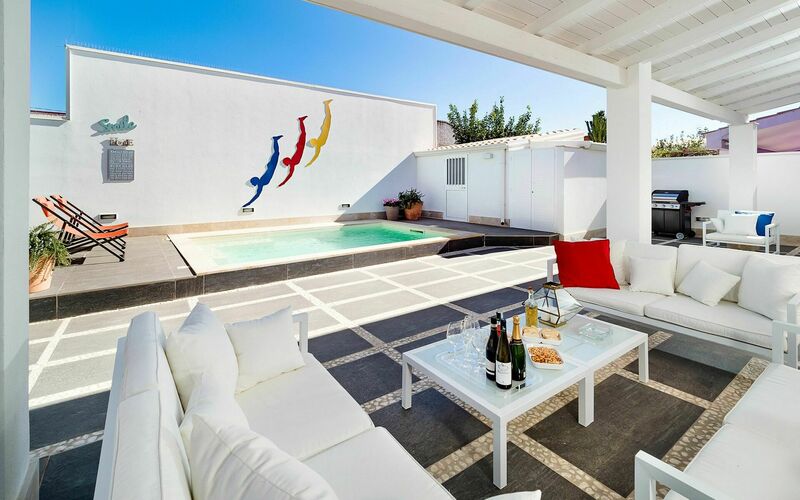 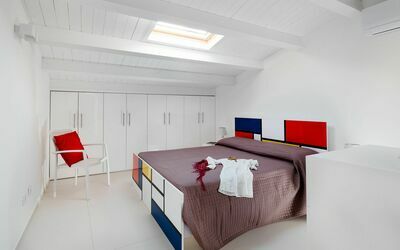 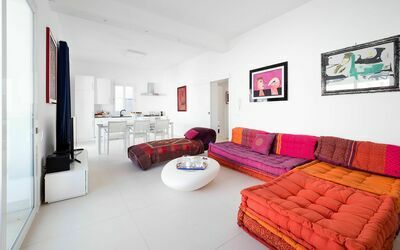 Villa Allegra is a modern villa with swimming pool situated in Granelli, a little coastal hamlet of Pachino. 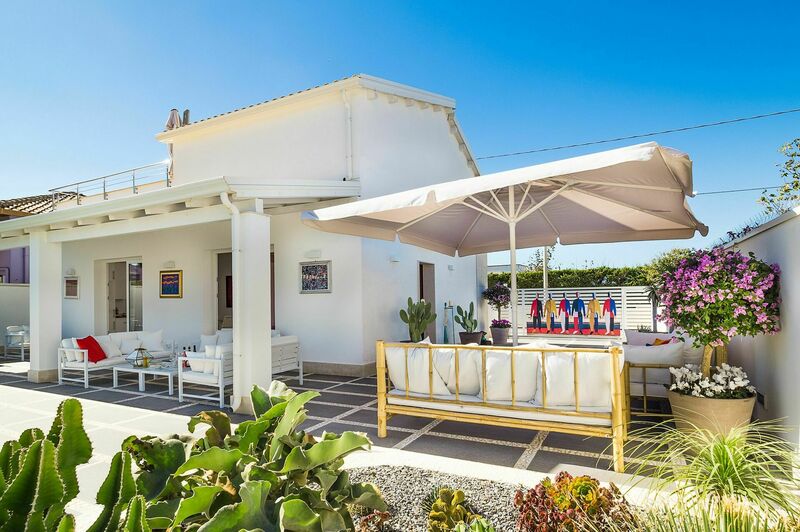 The property - set in a quiet residential area, just a few steps from a beautiful sandy beach - is perfect for those seeking sun, sea and sand. 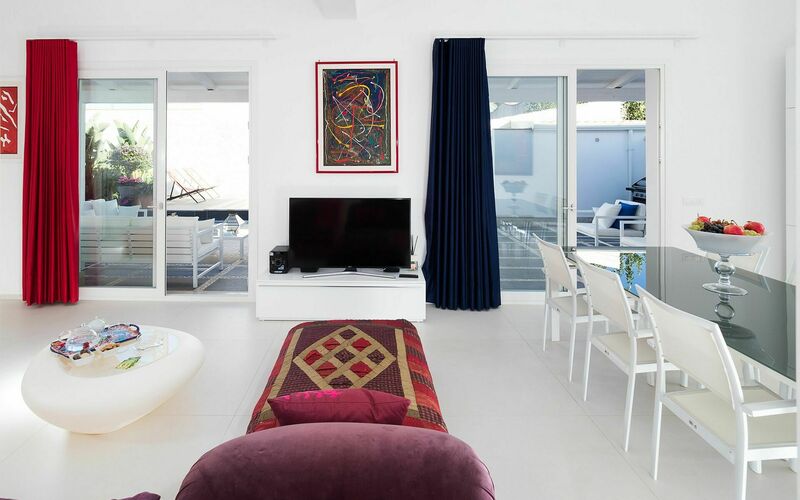 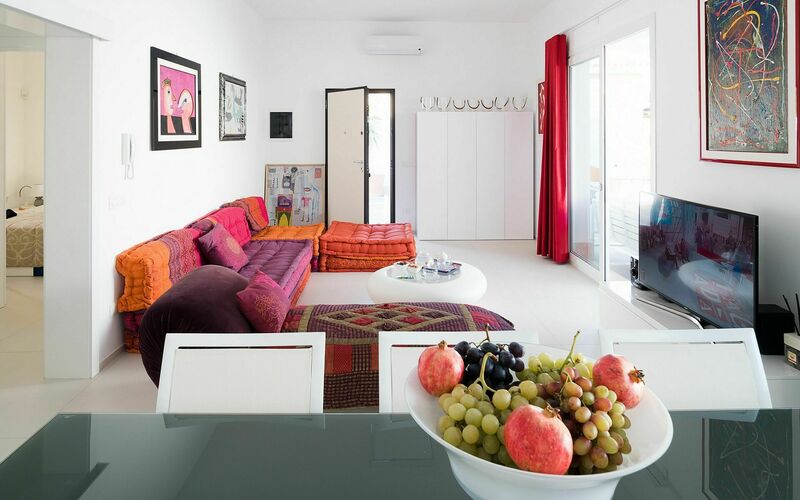 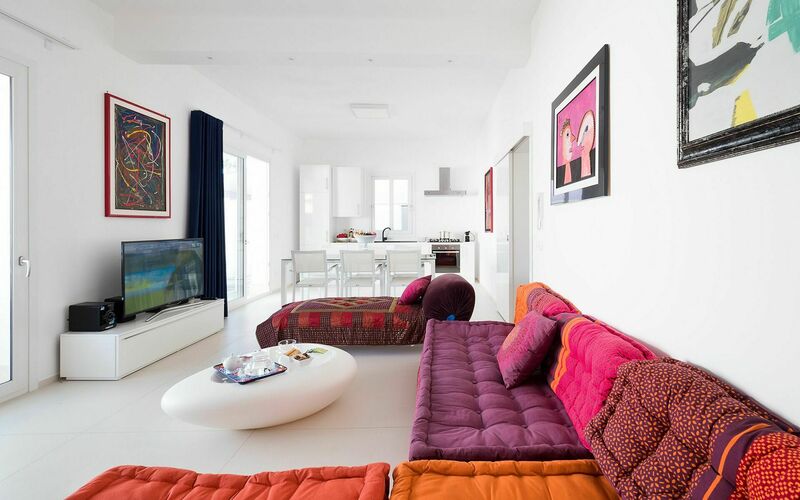 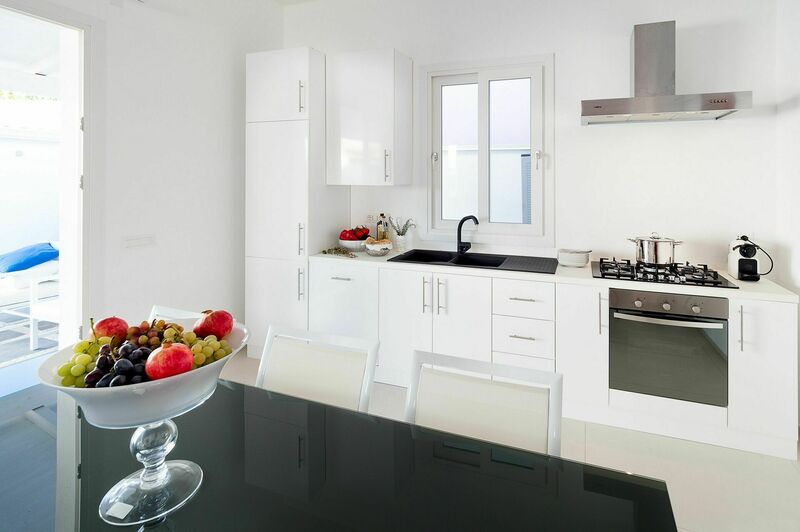 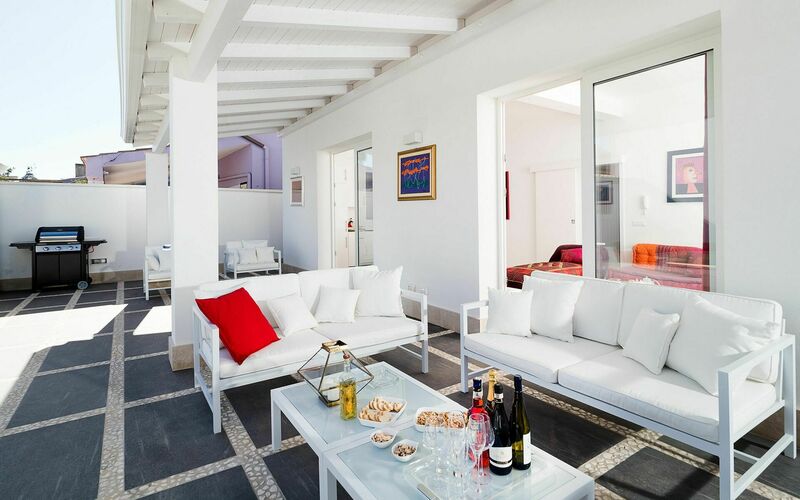 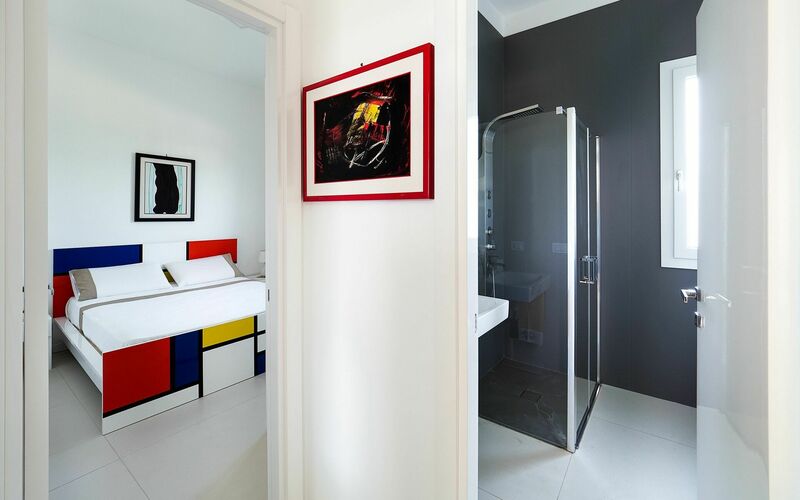 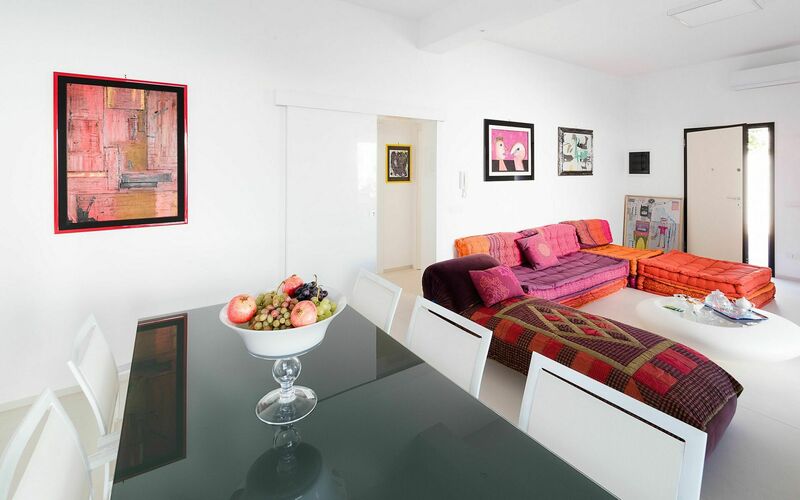 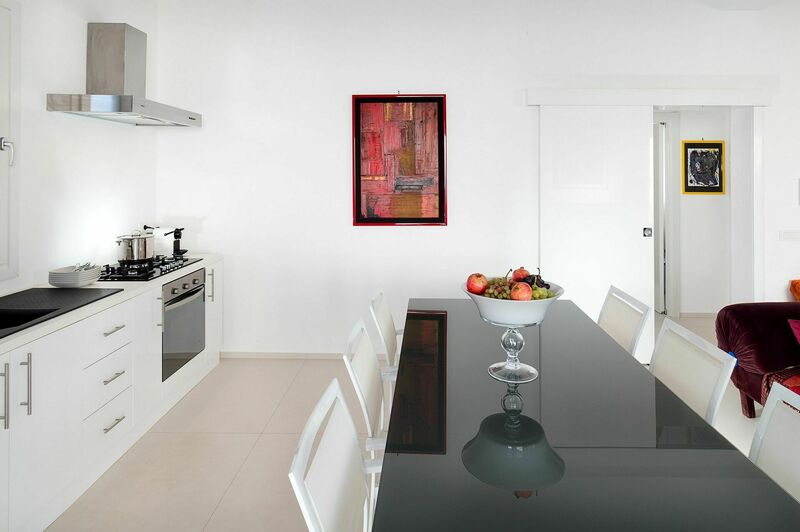 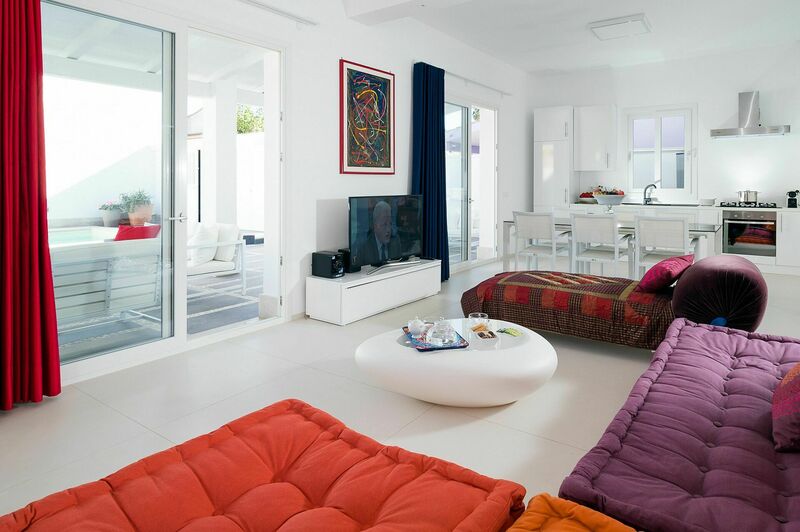 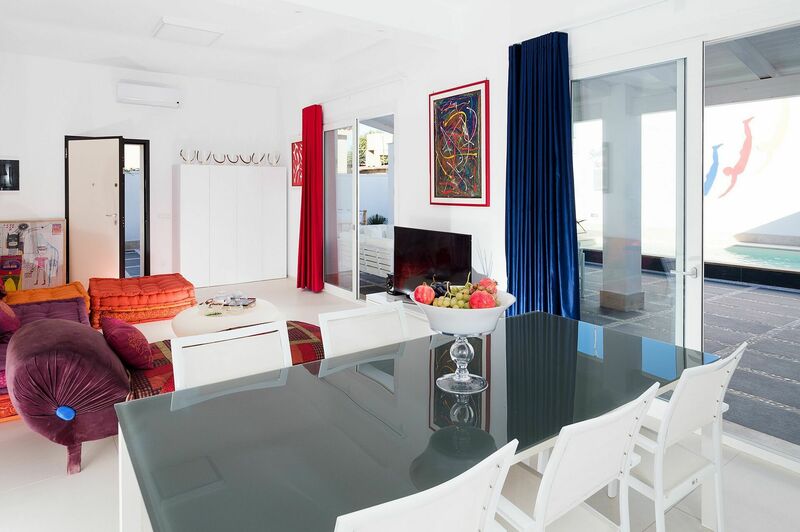 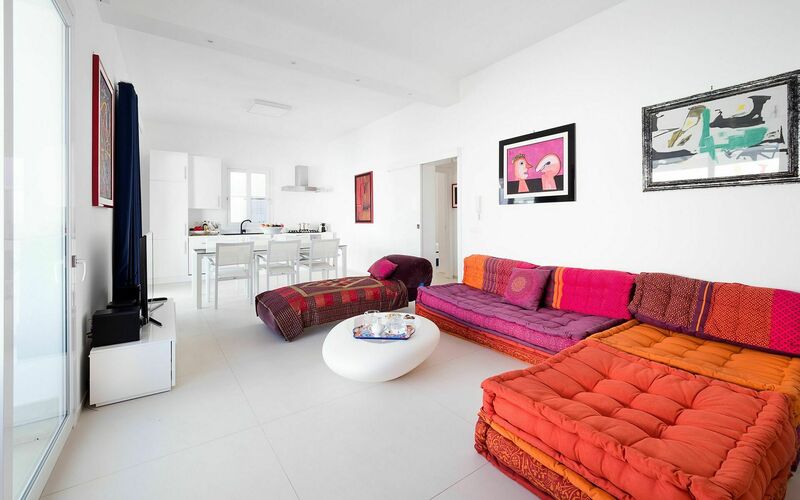 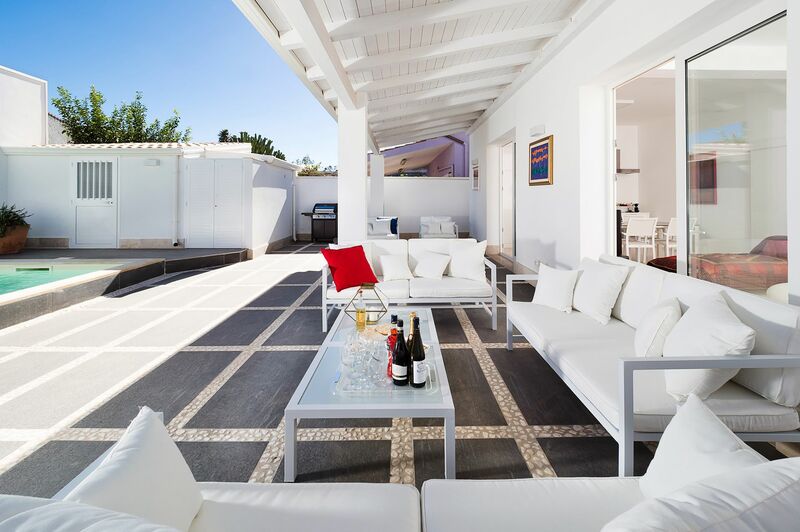 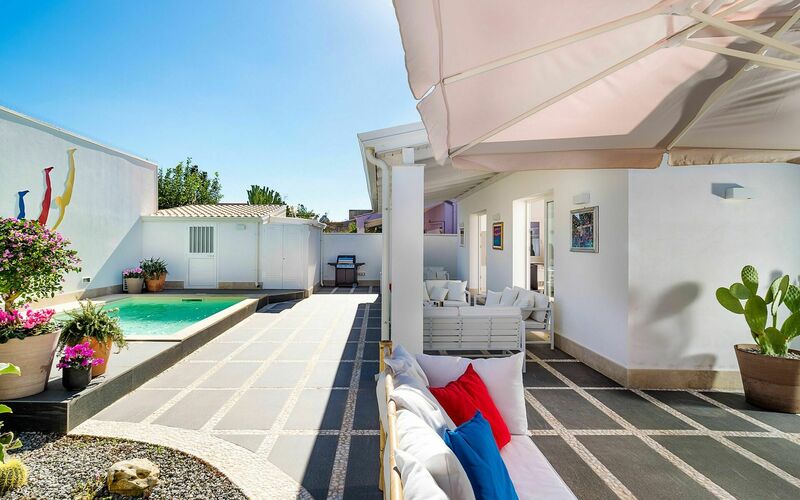 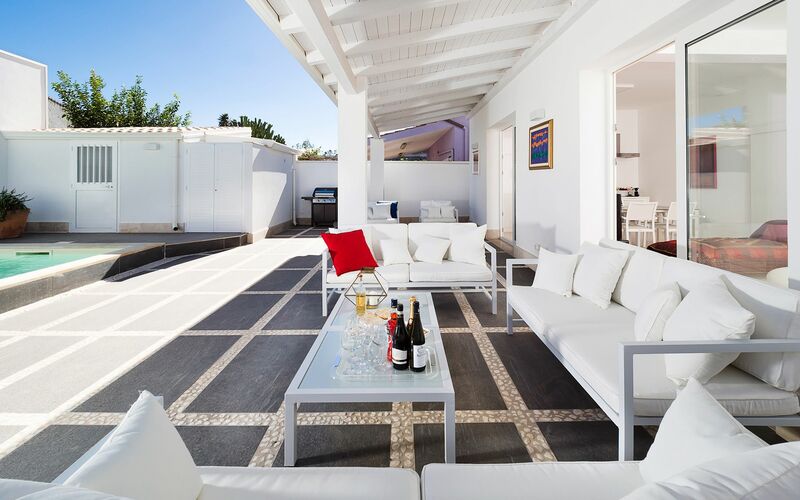 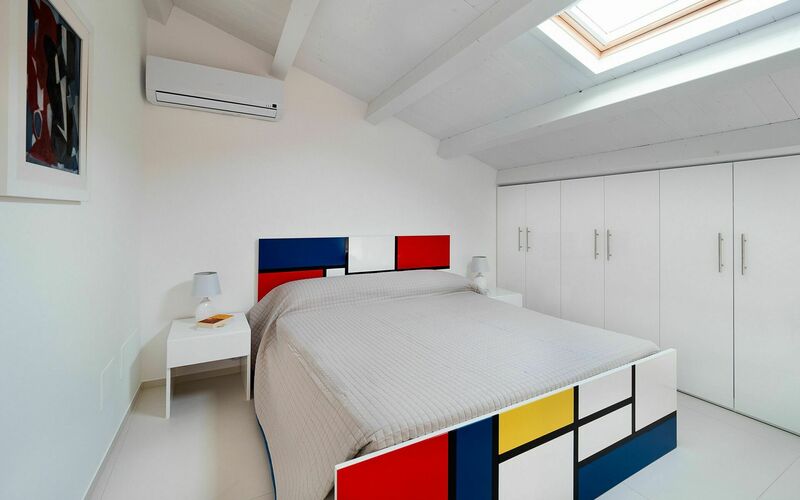 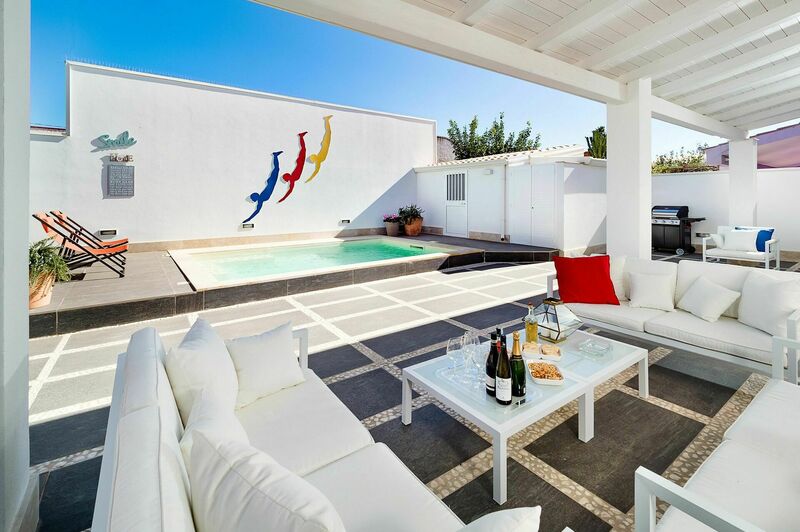 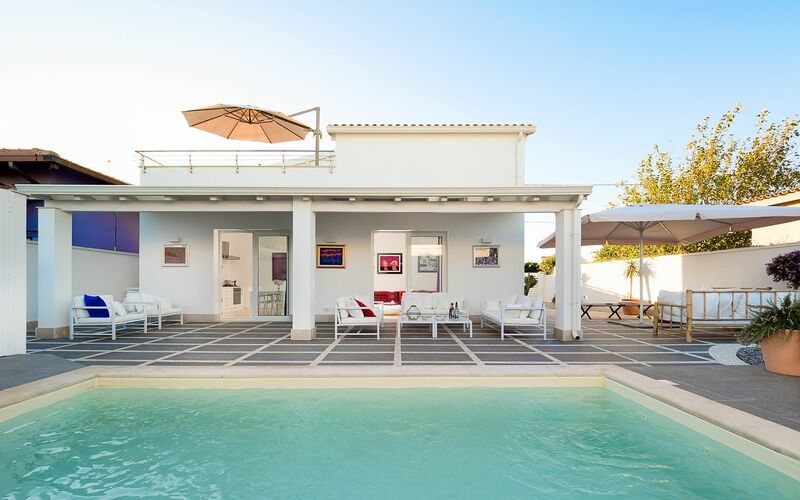 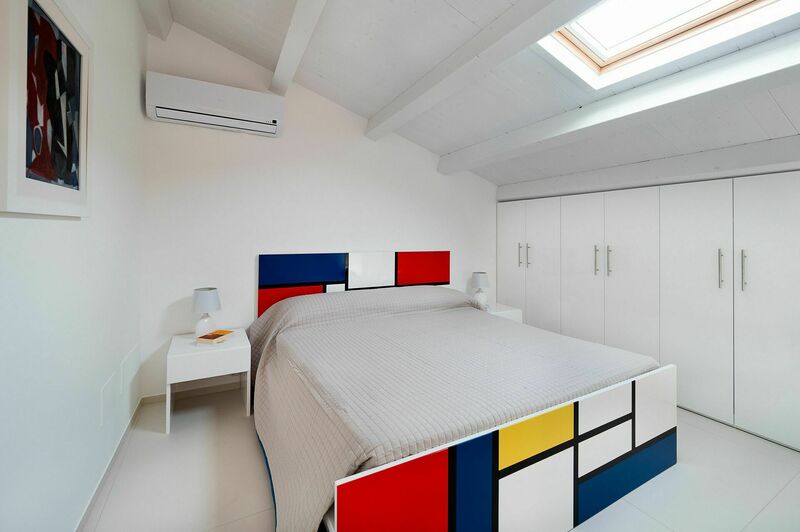 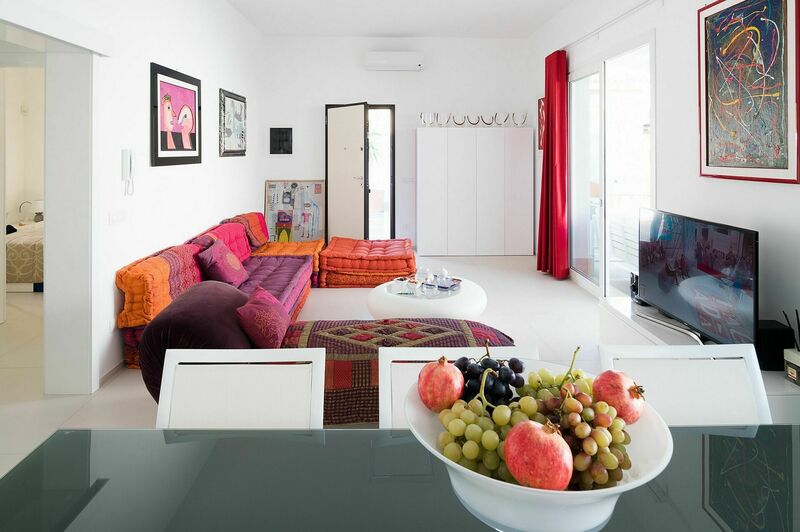 This newly built villa offers bright interiors spread over two levels. On the ground floor are a living/dining room with kitchen, two double bedrooms and a bathroom. 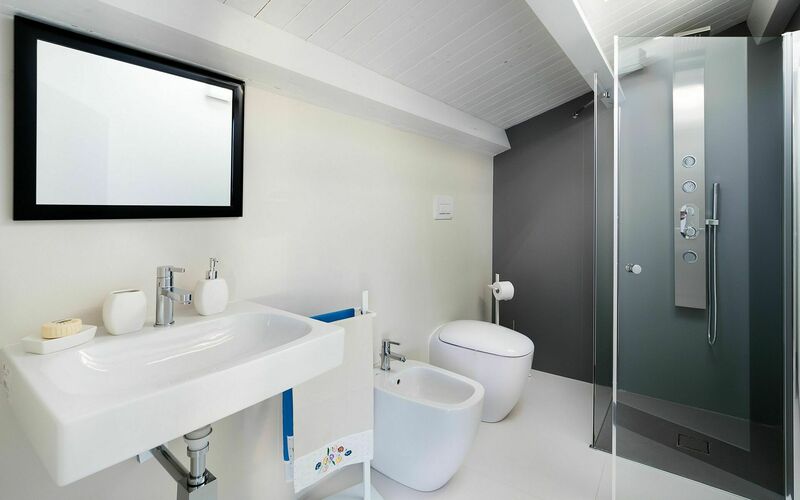 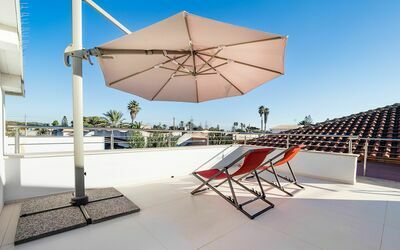 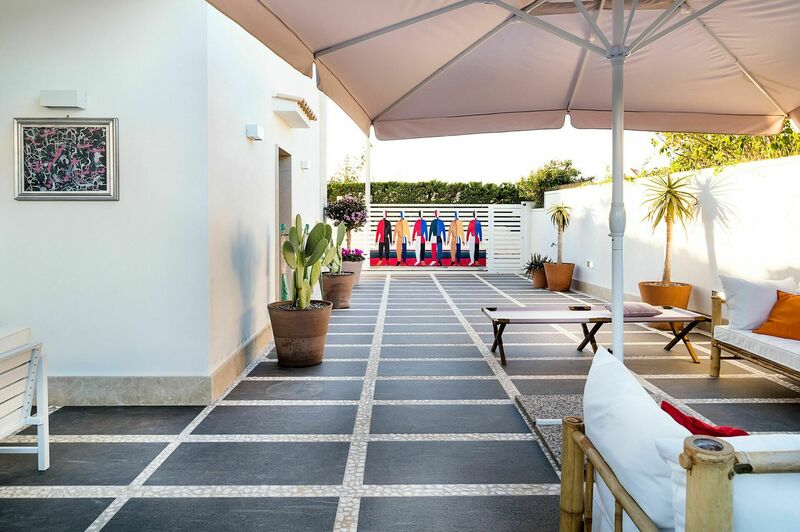 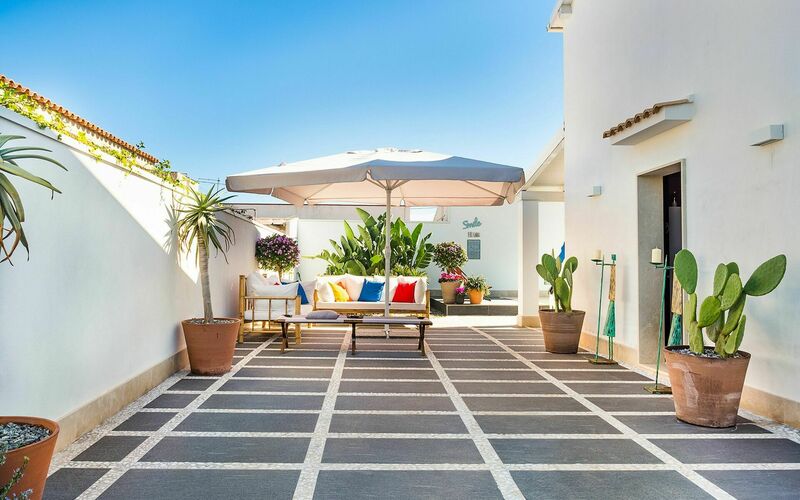 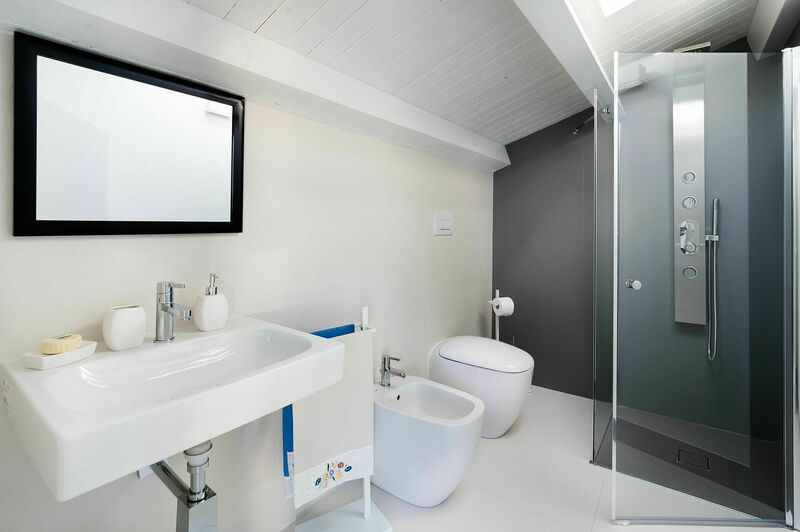 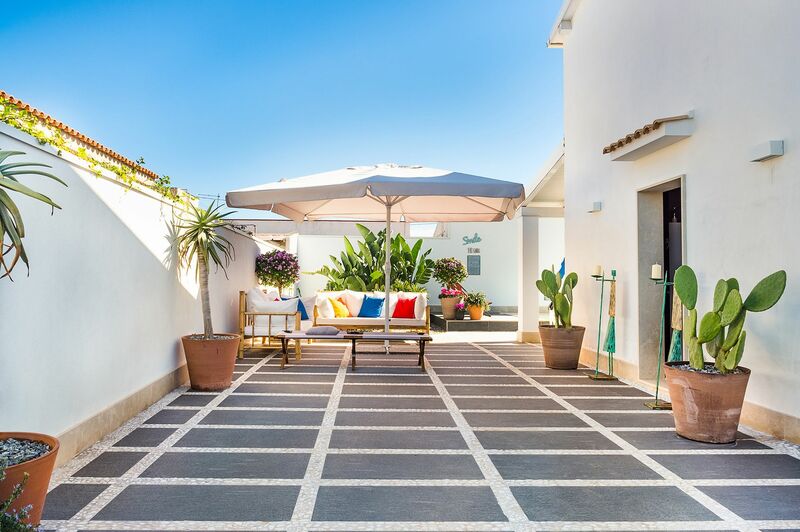 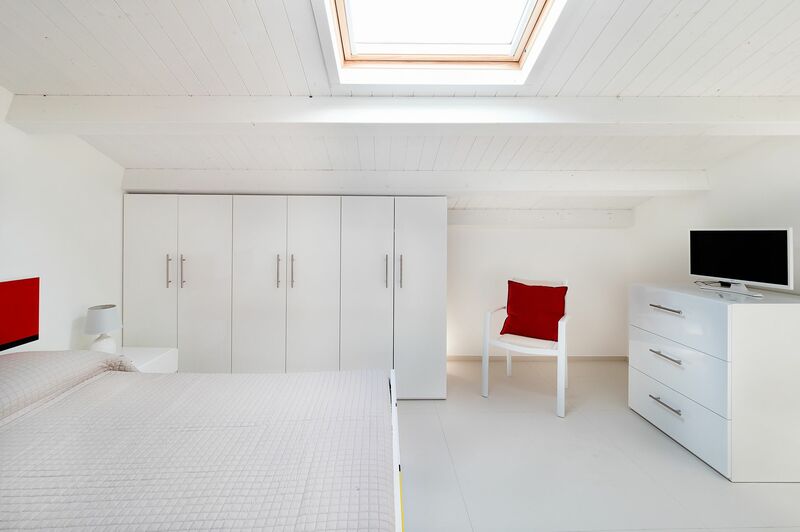 Accessible by an external staircase, the first floor comprises two further double bedrooms, a bathroom and a sun terrace. 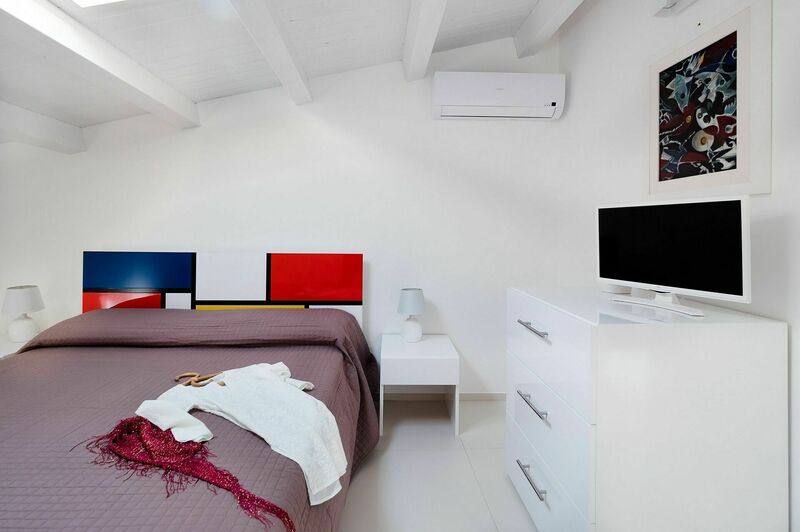 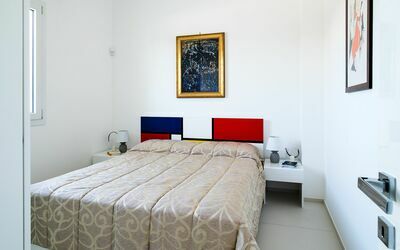 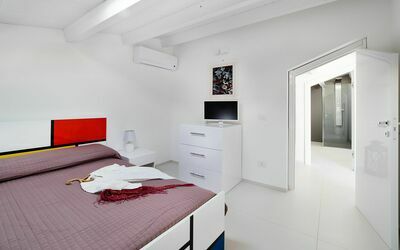 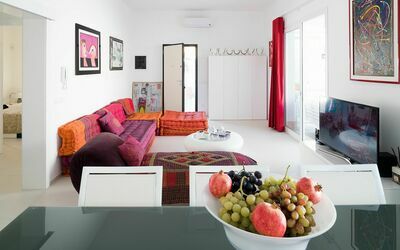 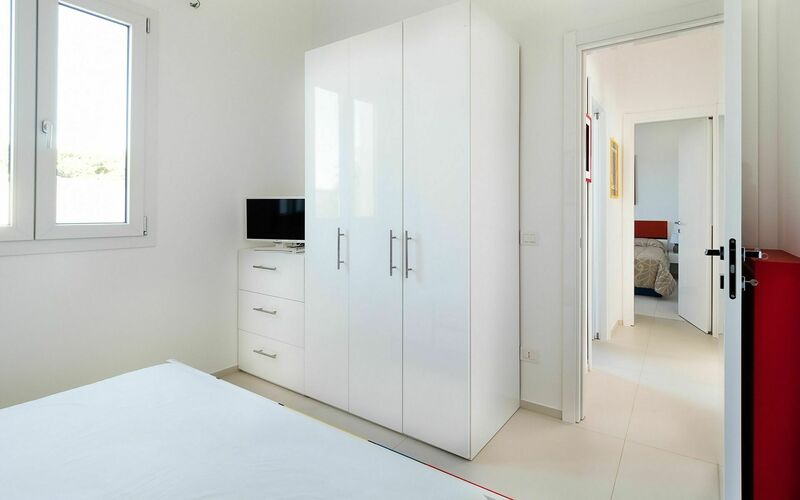 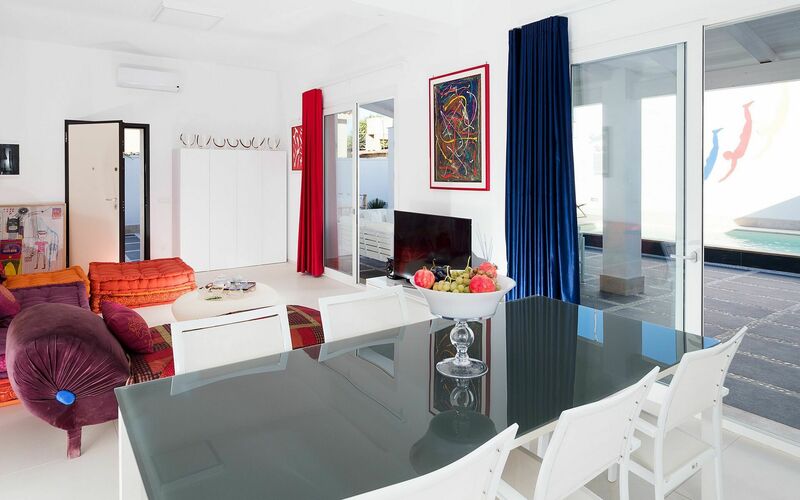 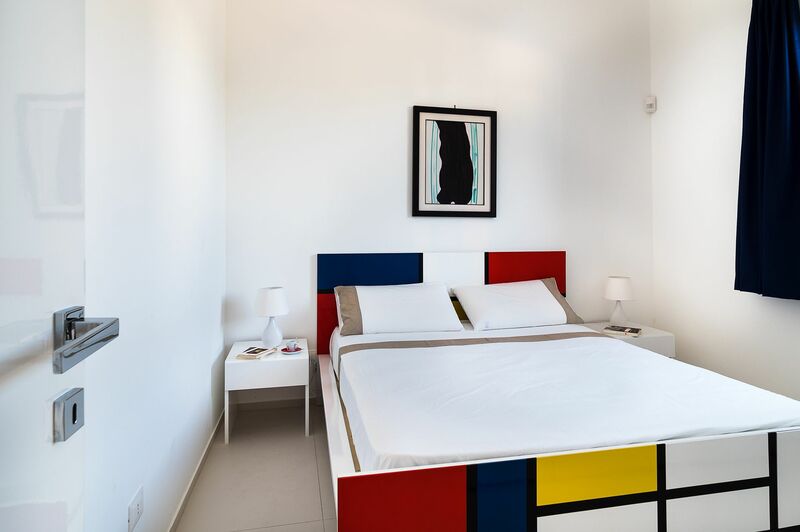 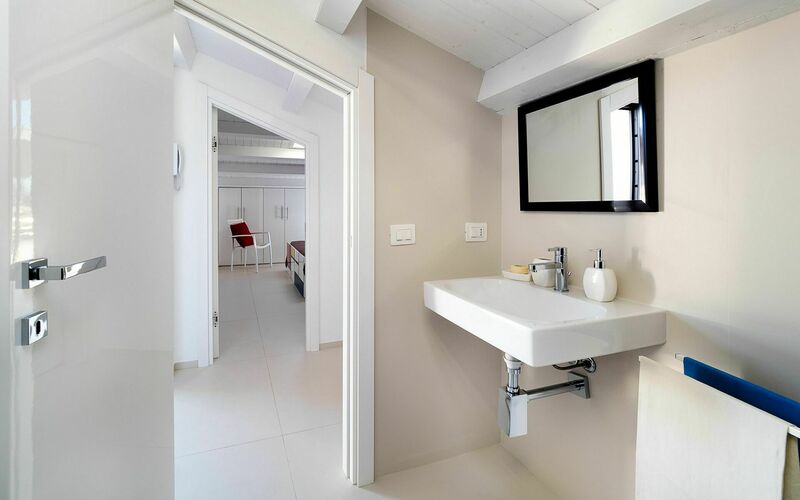 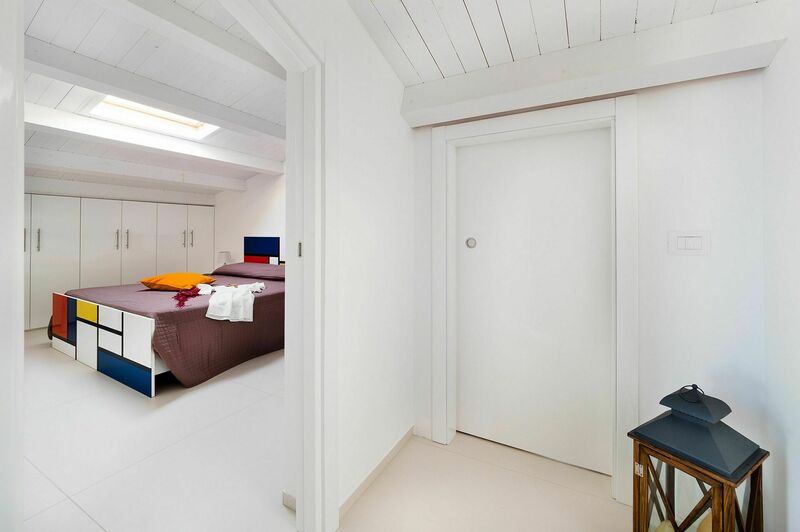 Furnished with taste and functionality in mind, these cosy rooms come with air conditioning and TV in each bedroom, satellite receiver, Wi-Fi, washing machine and dishwasher. 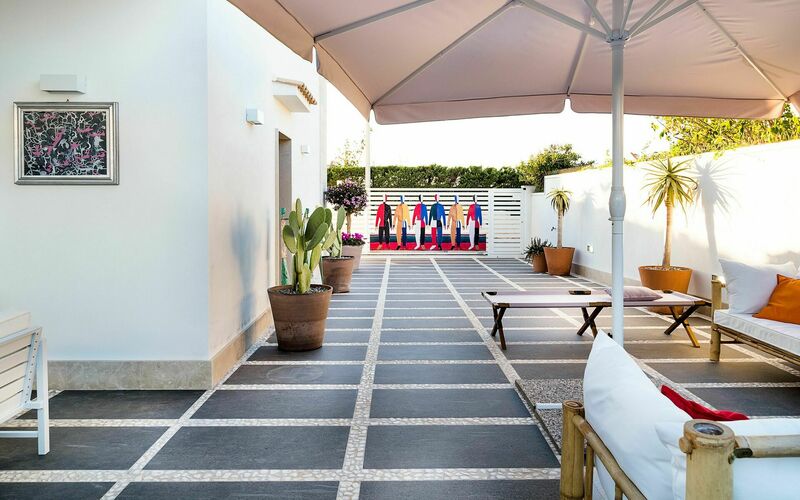 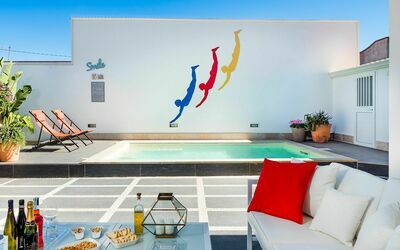 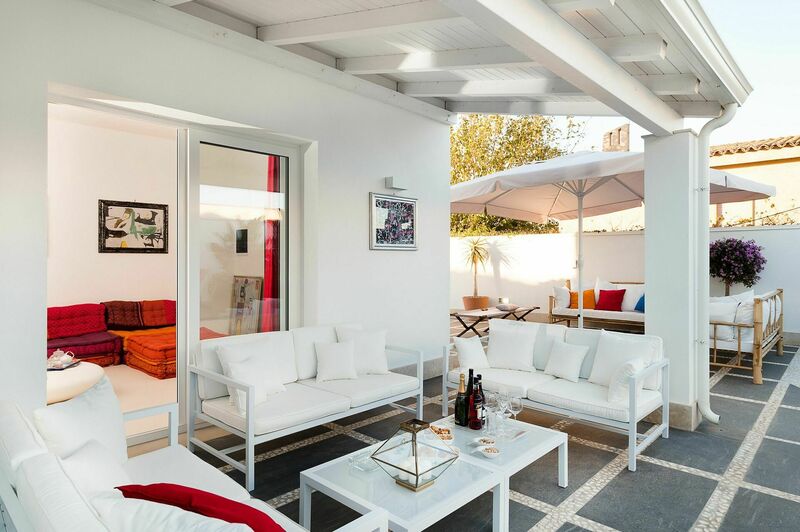 Outside, a large equipped terrace embraces the small private pool with hydromassage and adjoining bathroom with shower. The villa location, besides being practical for reaching south-eastern Sicily’s most popular beaches, such as the close beaches of Ciriga and Santa Maria del Focallo (FEE’s Blue flag award-winning), is ideal for exploring Marzamemi, the Vendicari nature reserve, Noto, Modica, Scicli, Ragusa and Syracuse. Ground Floor: living/dining room, kitchen, 2 double bedrooms, 1 bathroom with shower. First Floor (accessed from outside): 2 double bedrooms, 1 bathroom with shower, small terrace. 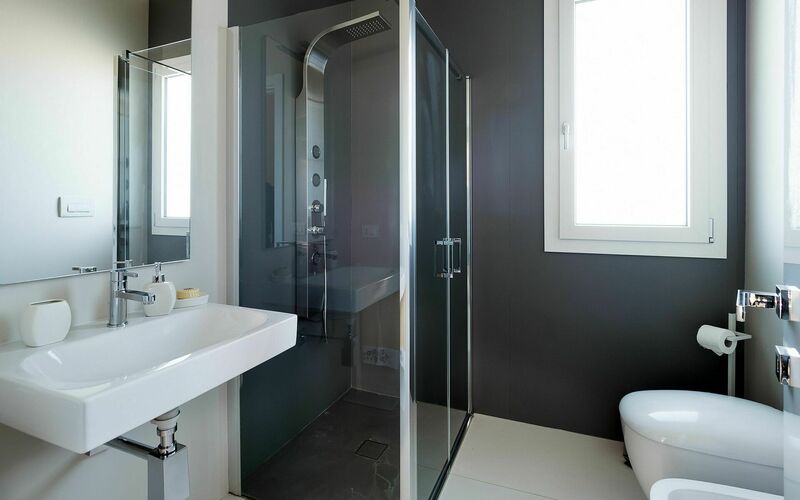 1 bathroom with shower, veranda, terrace, swimming pool, sun terrace. Jan 05, 2019 May 25, 2019 Any 7 8 € 320 n.a. 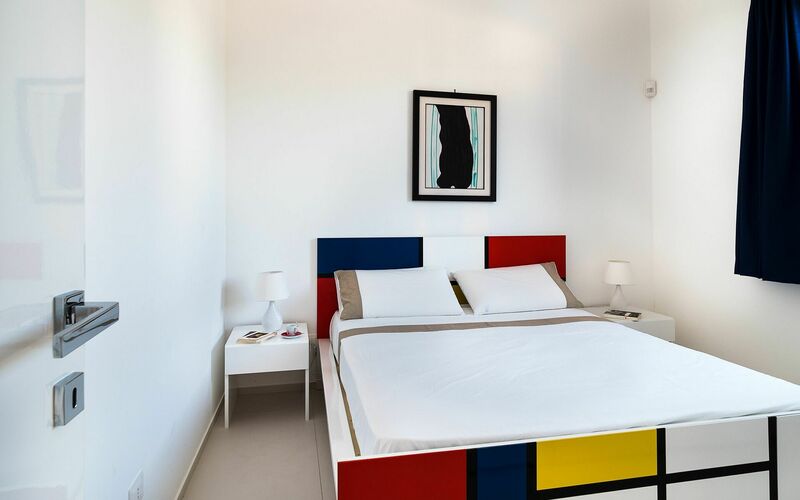 May 25, 2019 Jun 29, 2019 Any 7 8 € 370 n.a. 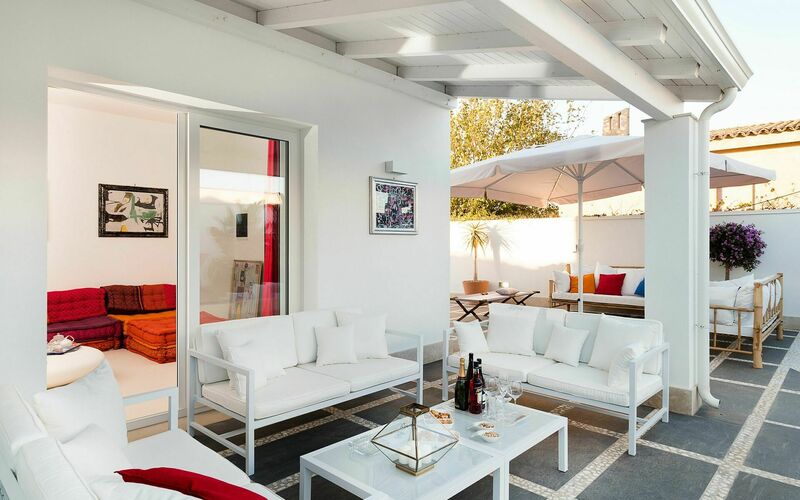 Jun 29, 2019 Jul 27, 2019 Any 7 8 € 481 n.a. Jul 27, 2019 Aug 24, 2019 Any 7 8 € 564 n.a. 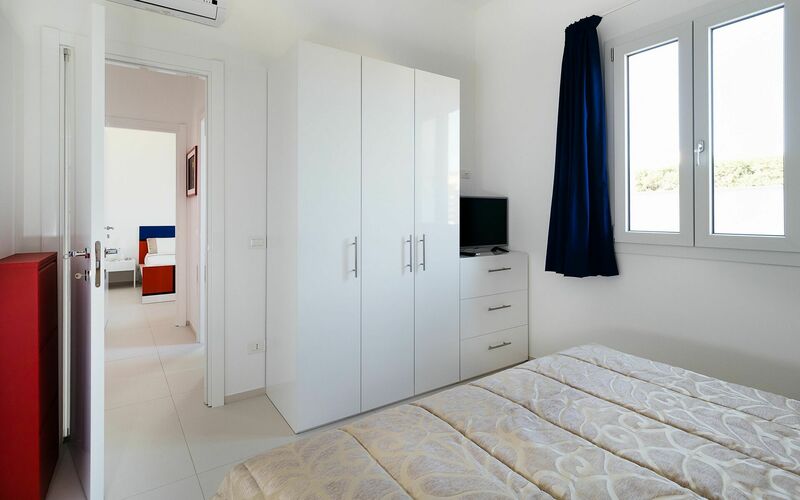 Aug 24, 2019 Aug 31, 2019 Any 7 8 € 481 n.a. Aug 31, 2019 Sep 28, 2019 Any 7 8 € 370 n.a. Sep 28, 2019 Jan 04, 2020 Any 7 8 € 320 n.a.